Have a JNET news tip or media inquiry? Please email news and inquiries to pr@jnetonline.org. Want to receive JNET's newsletter? Email info@jnetonline.org & request to be added to our email list. In 2019, look for new and exciting JNET developments as Phil Blum takes the helm as JNET Board Chair. 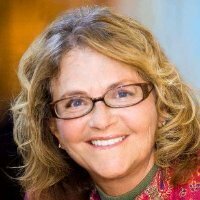 JNET is grateful to Outgoing Chair Jackie Mendelson for her many years of inspiring leadership, and we are very fortunate that she remains on the Board, continuing to impart her insight and wisdom. Read our Incoming and Outgoing Chairs' reflections and assessments below. It is with a great sense of honor and privilege that I write to you as the new Chairperson of the JNET Board of Directors. I know that Jackie left some pretty large shoes to fill, as she stepped down from this position. It is clear that the impact Jackie left on JNET will be long lasting. I am grateful that she will remain on the board, providing her invaluable insight and experience. 2019 is set to be a great year for JNET, filled with exciting changes and new developments that will help us all grow and develop our businesses, increase our referrals, and have fun along the way! The board has already revitalized the JNET Mission Statement, bringing a business focus back to the forefront of our wonderful organization. Additionally, some of our chapters will begin implementing new meeting formats, adding their own unique flair and “mixing-it-up” to allow for new and exciting networking opportunities. We will also create and implement a new-member orientation program to assist those who have recently joined JNET as well as those who will be joining in the future. The goal will be to help new participants feel comfortable from day-one, learn how to get the most out of their membership, and educate them on all that JNET has to offer. I look forward to serving JNET, working with the chapter leadership teams, and receiving feedback from the general membership. I hope 2019 will be a great year for all of us and will do my part to help in any way possible. Wishing each of you a strong start to the year! I have loved every minute serving on the JNET Board of Directors and holding such a challenging role as Chairperson. The responsibility of having my hand on the helm throughout the growth and maturation of JNET has been daunting, rewarding and, at times, a little frustrating. But I have had the great privilege to work side by side with extraordinary board members and exceptional chapter presidents and leadership team members; without whom I could not feel such satisfaction and pride. I have loved being a part of JNET since the first meeting I attended 10 years ago and will continue to contribute as a board member at large. I would like to thank all the JNET members, past and present, for treating me with such great respect and showing faith in my leadership…even during the rocky bits. I know that the future is going to be very bright for JNET. The new officers and committee chairs are members with experience and enthusiasm that will raise the bar to the next level of professionalism. 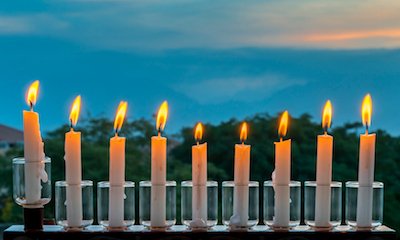 JNET's annual all-member Hanukkah Mixer had a fantastic turnout. Hosted at its new location at Valley Beth Shalom, the festive evening was filled with schmoozing, dinner, dancing, and fabulous raffle drawings, along with special presentations thanking outgoing leaders and introducing new presidents and Board officers. Kudos to JNET Social Chair Sandy Hollander and the Social Committee for throwing a terrific party. 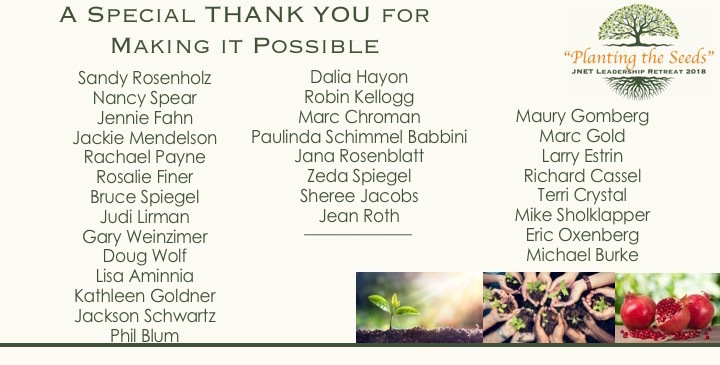 Thank you to event volunteers Zeda Spiegel, Sherry Warschaw, Sheree Jacobs, Dalia Hayon, Paulinda Schimmel Babbini, Debbie Green, Janis Shein, Ronit Krancberg, and Gail Salem, and to Eric Oxenberg for taking such wonderful photos. Thank you as well to all of our raffle donors. With more attendees and raffle prizes than last year, the 2018 Hanukkah Mixer proved a great way to finish off the year! 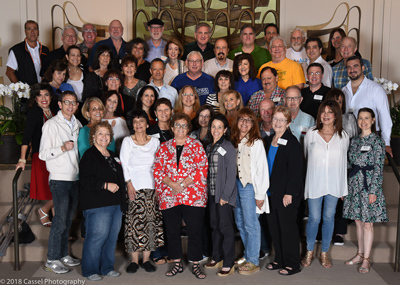 JNET just celebrated its B’nai Mitzvah year, finishing 13 years strong, and the 2018 JNET Leadership Retreat was the perfect opportunity to honor all of the volunteer leaders who made it possible. The half-day retreat convened 70 volunteer leaders, who participated in large- and small-group interactive discussions with the theme of Planting the Seeds... for growth, mentorship, and future JNET leadership. The special event also featured a presentation on the history of JNET. 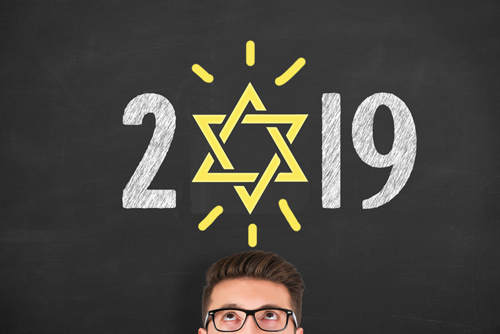 What started as one humble chapter in Agoura in 2005 has expanded into a region-wide organization that supports Jewish businesses across Southern California. 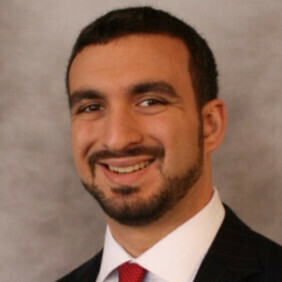 The evolution from a one-off chapter into an established organization of unique yet uniformly committed chapters has been made possible by JNET's fearless and ambitious leaders, who have worked together and grown together, steering JNET's vision and efforts into one the nation's largest Jewish business networks. If you would like to be on a leadership team, email info@jnetonline.org to find out how. Learn about the many opportunities available and find the right fit for you. Thank you to all of the leaders, past and present, who have created and transformed JNET into what it is today. And thank you to JNET Administrator Rachael Payne, who planned and organized the Leadership Retreat, and to the 20+ leaders who led interactive workshops, presented, managed the logistics and A/V, took photos, and helped make the event such a success.